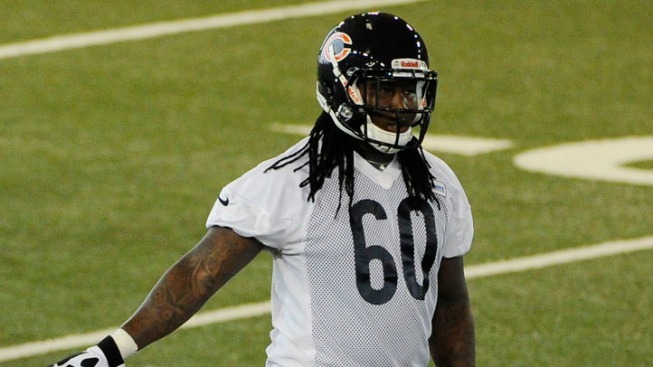 The Chicago Bears have waived linebacker Khaseem Greene after two seasons. A fourth-round draft pick in 2013, Greene appeared in 25 games with six starts over two seasons. He had 60 1/2 tackles, one interception and one forced fumble to go with seven special-teams stops. The Bears also signed quarterback Pat Devlin to a one-year contract and defensive tackle Terry Williams and linebacker Kyle Woestmann to three-year contracts, while terminating the contract of vested veteran linebacker Austen Lane on Monday. Lane has appeared in 30 games with Jacksonville, Detroit and Chicago. Devlin spent the final eight weeks last season on Minnesota's practice squad. Williams was a three-year starter for East Carolina. Woestmann had 100 tackles and 13 sacks in four seasons at Vanderbilt.